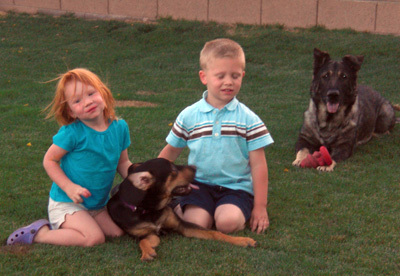 Animal Care and Adoption Center in Casa Grande has adopted out thousands of animals over the years. This is a showcase of a few success stories we have encountered. I wanted to send you two success. 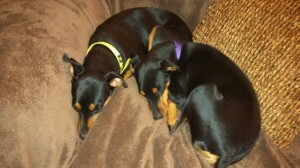 David and I successfully adopted not one but two miniature pinschers from our shelter. Late October we fostered and then adopted a 6-month-old black and tan female and named her Elke which means Noble in German. 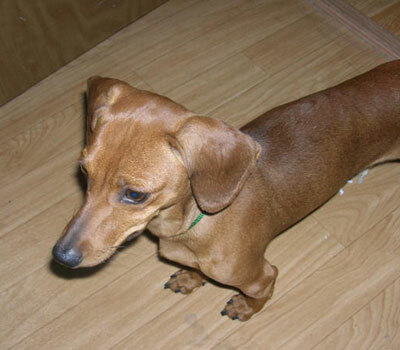 Elke is full of life and full of energy and a welcome addition to our home. On October 31st we adopted a 2 1/2-year-old mommy Min Pin and named her Minna, which means Love and mother in German. Minna had just given birth on October 8th to 5 healthy black and tan Min Pin puppies. 4 female and 1 male. David and I decided to adopt her because of her age she may not be as adoptable as the puppies. 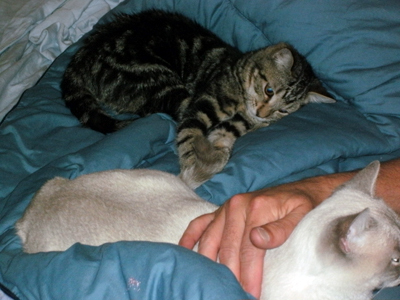 Minna is certainly more subdued than Elke and is very loving. We already have a 13-year-old Min Pin named Wile E. and these two have breathed some life back into her. Linda Garcia and her staff are a wonder at what they do for this City and these two precious additions to our family are proof of that. See attached picture, Minna in bright green/yellow collar and Elke in purple. They just make you smile. This is Watson, previously Neil. 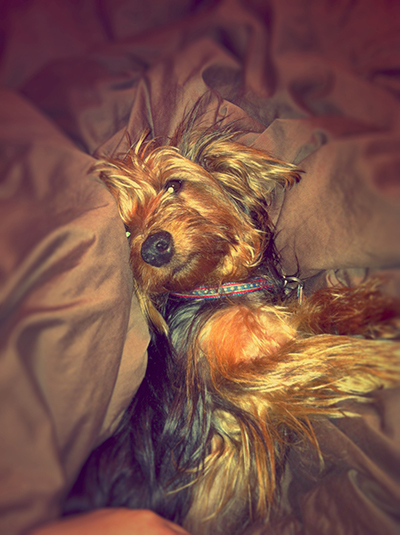 I adopted him in September 2012 after my Yorkie was killed. 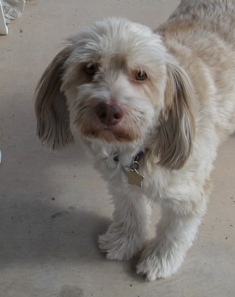 I knew from the second I saw his picture on the Casa Grande pound website that he was my dog. He was very easy to potty train and he is so well behaved. 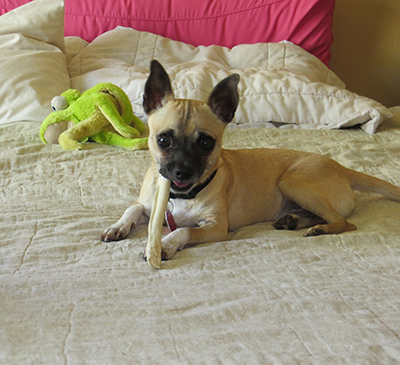 He loves chewing his bones, and playing with my families Chihuahuas. I feel so lucky to be chosen by such a great animal and I wanted to express my gratitude for helping me find my perfect dog. 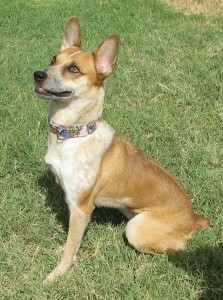 We have adopted three sweeties from the City of Casa Grande Animal Care and Adoption Center. Our two cats (Samantha at the top and Sam at the bottom…love them big time and they just talk and talk!!!) 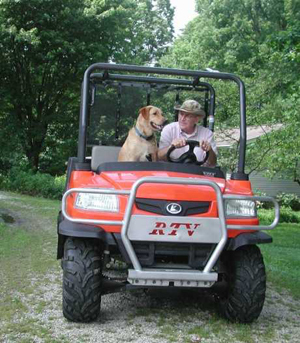 and our dog, Lacy… She has filled out and runs about 90 miles an hour… hahaha! My mother adopted a young cat from your center in August of 2012. She named the cat, Juliet. As I’ve been staying with my mom, I helped with the adoption. 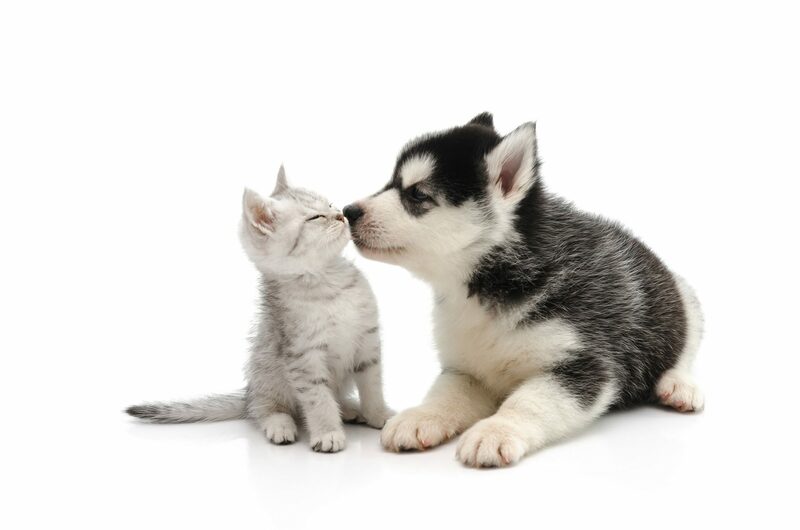 We want to give the care staff, at Casa Grande’s Animal Care and Adoption Center, an update. Since she’s been with us, she’s brought extra activity and (seeming) affection to the household. She plays with one of my mom’s other cats and enjoys being held and laying in laps. She’s been a healthy cat, and I’ve hoped to help give her the best life that I know how to give. She’s a beloved animal, and I’m glad that she’s making a home with my mom. Thank you to the staff there for their work. 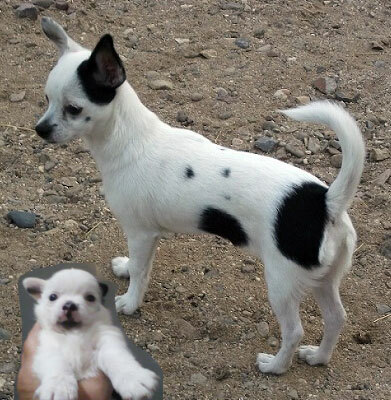 This is our baby Lil Miss, a Chihuahua that was born in the shelter just about a year ago on April 15, 2010. From the moment I saw her when she was just a week old I knew she was going to be the newest addition to our family. She is so playful and loves to play with Chanel, our 20 pound Calico Cat that we adopted 6 yrs ago from here as well. For only weighing about 5 pounds she gives Chanel a run for her money. Officer Dill taught her to give kisses from day one and now anytime kisses are needed, Lil Miss is there to give them. Thank You for bringing her into our lives! Teddy has settled in quite well and really is a good boy! I wish he could talk so we could know about his past. It seems that he was well loved at some point. He’s friendly and obedient and just a little lover. This picture is one I took after his first bath and a little trimming. After my 9-year-old lab-mix Ginny died, I decided about a month later to adopt another dog to keep my remaining Golden Retriever Bailey company. 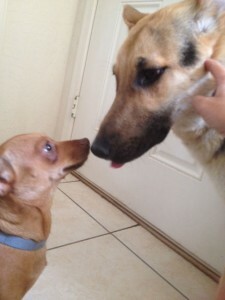 The minute I saw Baxter at the Casa Grande Animal Care & Adoption Center I knew he was the one. Sadly, about one month after adopting him, Bailey too passed away (he was 12, a ripe old age for a Golden). I think he was happy to know that Baxter would be there for me. He is the most well-behaved and loving dog that I’ve known. He loves car rides and runs to greet me as though I’ve been away for a year, every time I enter the house. He ignores the cats which is fine with them. 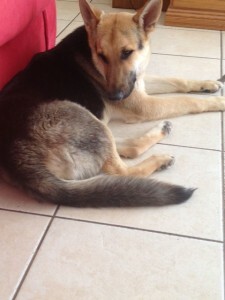 Baxter was found wandering the streets of Casa Grande, this lucky pup now has a secure and loving place to call home. Thanks Baxter for being there! Hi, we adopted 2 kittens a few months back and they are great! They have adjusted quite well. The other kitties have taken them under their wing and taught them all the ‘fun’ stuff. Lotus (Nutmeg) is now alpha mama kitty. She gets after the others if she thinks they’re too rough with Makai (LDB). It is the funniest thing! We absolutely LOVE the animals. We are relocating to the Virgin Islands, and they all will be right there with us. No worries, we aren’t ‘those people that’ll leave them behind. Thank you so much for your help in the adoption! We had to send you a picture of our beloved Reed (aka Hank). 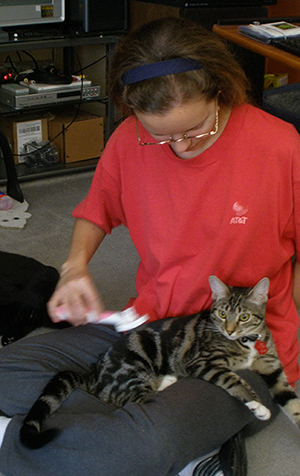 He is very loving – and now he is receptive to training. Still, have work to be done, but he doesn’t chase the cats now and turns the other way when one of the cats is aggressive with him. He has reached the point where he wants to please. Happy time!!! It has taken us 5 months to reach this happy time. We love him. Thank you for making him available to us. Our new puppy is doing wonderfully. The kids named her Polly. She is such a joy, very playful and smart. She walks on a leash fairly well and the kids love her. They are constantly playing and rolling around with her. Sable (our other dog) is enjoying her also. I have not seen Sable be so playful in years. She is a great asset to our family. Thanks for all you do for all the animals in your care. I’ve had many animals in my life from purebred to pure mixture, but the best always seem to be in an animal shelter when they pick me as their new human. 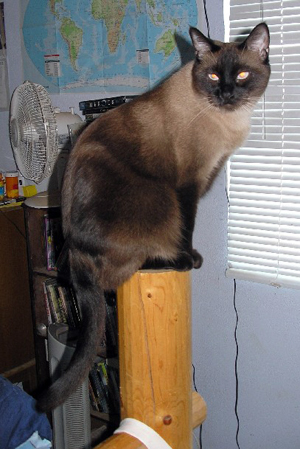 In 2006, after losing one of my cats to a horrible accident, my husband surprised me with a visit to the Casa Grande Animal Shelter so I could adopt a Siamese cat, which was a breed I’d always liked from afar. We were blessed to be chosen by a beautiful Chocolate Point Siamese (but NOT by his sister), whom you all called Buster. It’s hard to believe it’s been over three years since that day. Buster’s name quickly became Coco-Loco in our home; I almost think he whispered it in my ear as I was sleeping that first night. We lost our beautiful Coco-Loco this last Christmas to liver failure (the vet says it was a congenital problem as he was never fat), but his memories will remain among our family’s fondest. Every night, while I worked at the computer, he would come and snuggle next to me by wedging his body between mine and the arm of the chair’. He was happy to stay there as long as I would let him. At other times, if I was doing a lot of moving around, he would perch on the very top of the chair and watch from above my head, but he was never willing to let me out of his sight if he could help it. He was truly a special cat: exceptionally loving, utterly at peace with who he was, and mecurical in his playfulness. Much of the time his eyes were a brilliant blue and he was as laid-back as a cat could be. But sometimes his eyes would turn bright red and he’d morph into Loco-Coco. Those were the times there would be silliness from one end of the house to the other as he did laps across the couch, over the bed, and around the table. He loved those runs, but at the end he’d always come back to be next to us. We miss our Coco-Loco very much, but are so grateful for the time we had with him. Thank you for allowing us to adopt one of the most amazing and special cats I’ve ever met. Though far too short, his time with us brought great joy. You can know that we’ll be returning eventually to find yet another special friend. We want to thank you so much for “DOC” which we changed his name to “SOX” as in “REDSOX”. We brought him into our home just one week ago. We just love him so much, as he turned out to be so perfect. You had found him running the streets, which was really someone’s great loss and our wonderful find. 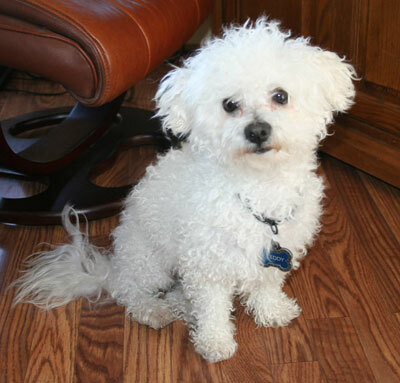 He is well behaved, housebroken, loves everyone he meets, even our grandkids. He is a great joy to our family, so thank you for letting us bring him into our lives, as we look forward to years of love. Please if anyone is looking for a wonderful pet, go to your local Animal Care Center and adopt your best friend. I don’t know if you remember, but you picked up a brindle female French bulldog about a year ago that was wandering the streets because you believed, that her owner had become homeless. 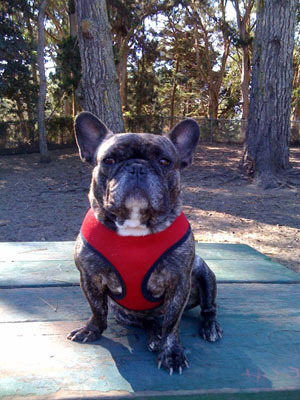 You called the French Bulldog Rescue Network and I drove down and picked her up. I just wanted to forward you a couple of pictures of the little darling in her new home. Her new name is Pickles (we had named her Astrid) and she is a spoiled rotten only “child”. As a foster mom, I love knowing that the story has a happy ending – I thought you might as well. Enjoy.